Day Hike (Majitar Trek) :- Majitar is a small border village of Sikkim. A Day Hike from the Farm to the border village of Sikkim named Majitar is a perfect day hike for around 5 hours from Tathagata Farm. The trek is a gradual downhill hike through the valley of Tea Plantations (Tukdah Tea Estate), small Forest Villages, Rungdung River, Glenburn Tea Estate and Reserve Forest Plantation of Teak. Once you arrive at the Majitar village, lunch will be served in a small local restaurant. A return back the the farm will be organized by a Taxi which will take approximately 2 hours through another valley. (Contact us for Cost of the Day Hike - A Guide Fee and a Taxi Cost is applicable). Guided Village Walk :- Tathagata Farm is part of the community of certified Organic Small Tea Growers and it offers a Guided Village Walk of approximately 4 hours (uphill & downhill hike) through the community of small organic farmers, visit to a kindergarten school, interraction with the community & farmers and the lunch will be served at one of the farmer's house. (Contact us for Cost of the Walk - A Guide Fee is applicable). Fishing & Picnic with the Locals :- If you are interested to interact with the locals and go for fishing with them, then, a day fishing trip will be your highlight of the trip. Go with the locals on a fishing trip in a nearby rivers (Rungdung River & Ghattay River). One should be able to hike up & down through the himilayan river where you will find trouts and enjoy fishing with the locals. Depending upon the availability of staff, lunch will also be cooked right at the river and served. (Contact us for Cost of the trip - A Guide Fee is applicable). 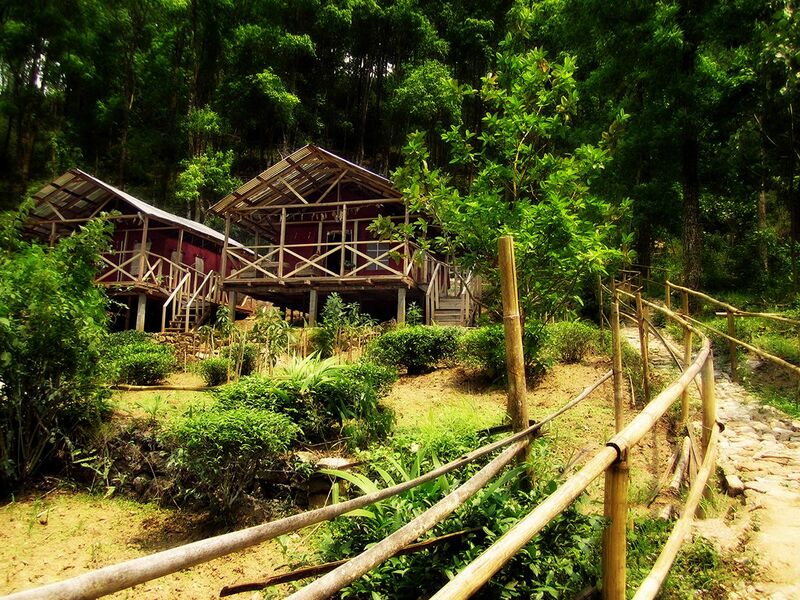 Tathagata Farm offers a range of activites like a Day trip to Darjeeling city (sightseeings), Sandakphu Trek (5 Days / 7 Days), Motor Bikes on Hire (only for in-house guests).